The photo makes this CV become a great piece of paper! 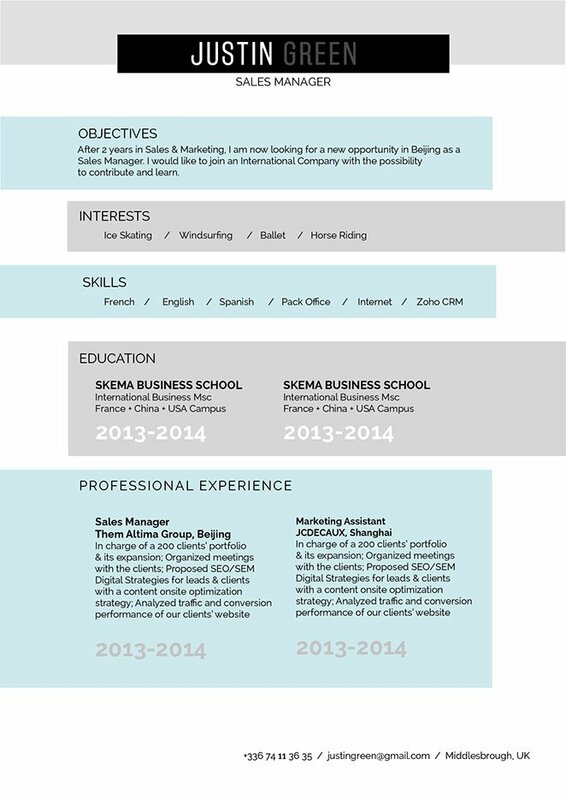 CV template to download "Starkling"
The Starkling Resume has a real appealing design sure to attract the attention of more recruiters! This is one student resume template that comes with a perfect selection of colors, shapes, and texts that create a calm, yet eye-catching design perfect for any job type and is useful for applicants that have an impressive set of skills and professional experience as all the information pertaining to the job is clearly written. 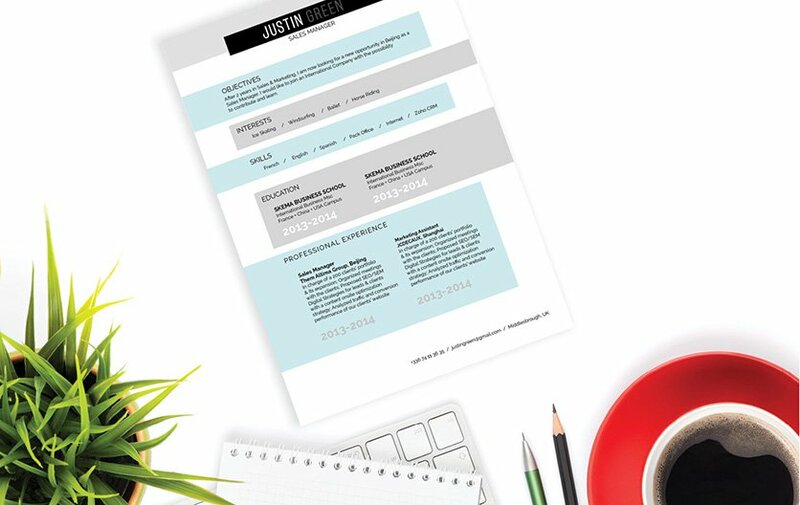 This resume template is sure to help land your dream job! How can you impress more employers with your resume? It's actually quite simple—all you need is an effective and comprehensive resume design. But how can you create such a design? Use simple yet professional looking font faces (e.g. Helvetica or Calibri) Select a font size between 11 and 12, and make good use of italic and/or bold font styles to guide your potential employer's eyes in reading your resume. Utilizie graphics and bullets to give emphasis on the key parts of your cover letter. Lastly, give your resume a logical structure to follow by using wide-margins, headings and subheadings.